We are proudly supporting the IDI Mind Over Matter day again this year. 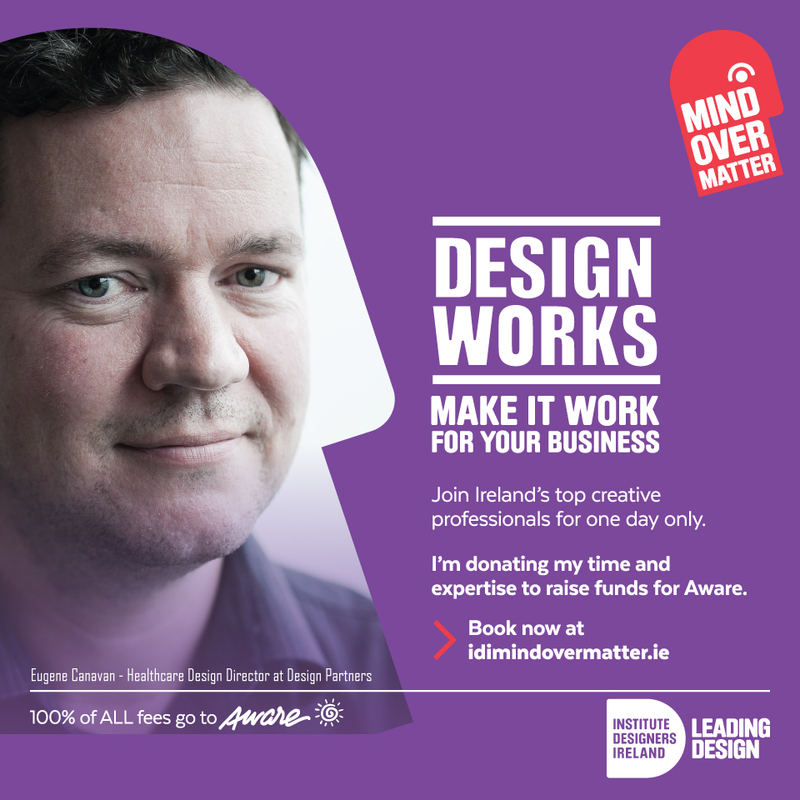 This is a national day of design to highlight mental health in the Irish design community. For €75, an established business, a start-up or entrepreneur can book a consultation hour with a designer in various locations across Ireland. 100% of money raised goes straight to Aware. Mind Over Matter takes place on 10th October in various locations across Ireland. For a fee of 75 euro anyone from an established business to a start-up or an entrepreneur can book a consultation hour with a designer. During that time, they can exchange knowledge and ideas, hopefully create new opportunities and with the entire fee going to Aware. This is a great opportunity for sharing skills and experience while raising money for a great cause. Two of our top designers are participating, Eugene Canavan – Healthcare Design Director and Cormac Ó Conaire – Creative Director. You can click below to book time with either at Mind Over Matter. 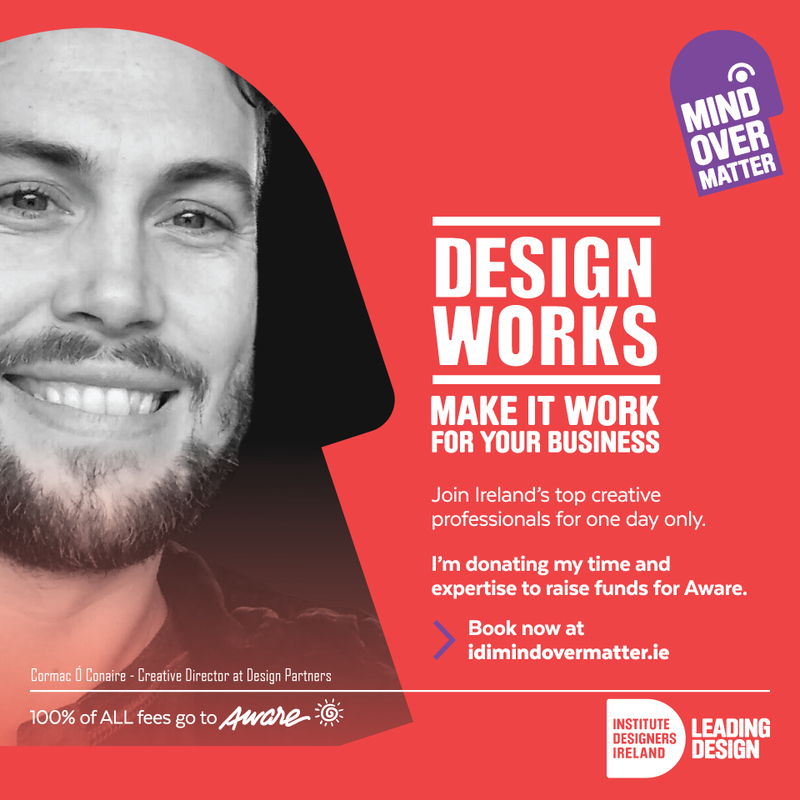 Brought to you by the IDI with all proceeds going to Aware, Mind Over Matter is an event that aims to put a spotlight on mental health in the design community. They are looking to create a stronger design community in Ireland by connecting fellow designers and promoting the value of design to the local business community. Donate your time on October 10th to raise awareness about creative mental health and money for a great cause.